‘Wreckfest – An Interactive Game’ Comes To Mobile Devices For FREE! The anticipated full-length psychological thriller will be releasing soon, but the question is when? 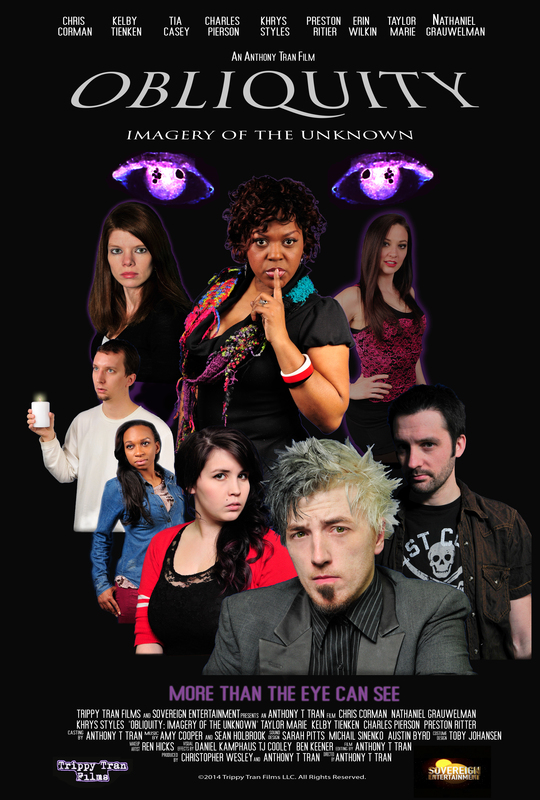 Official “Obliquity: Imagery of the Unknown” poster for release. 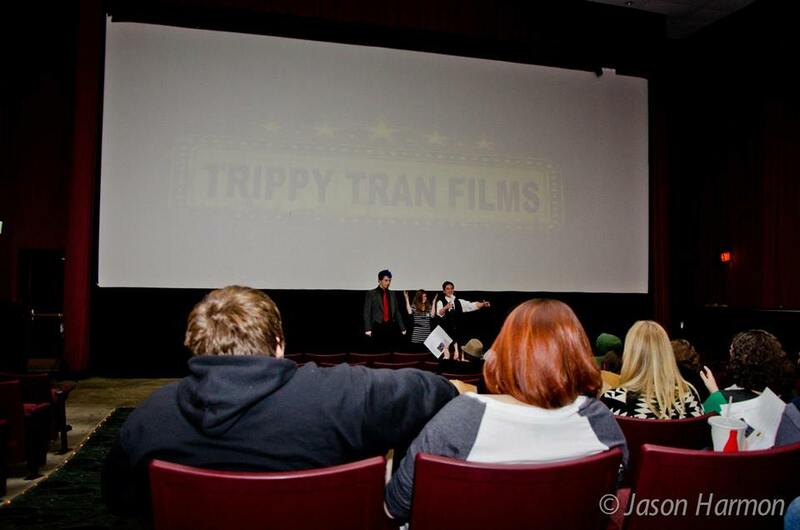 The idea started in 2009 after Tran made the psych horror thriller short “COEXIST” in March (and the prequel”DUALITY”, which came out fall 2008), forming different links between films to expand the universe and to tie-in all the loose elements and mysteries from the original 4 Trippy Tran Films short movies. 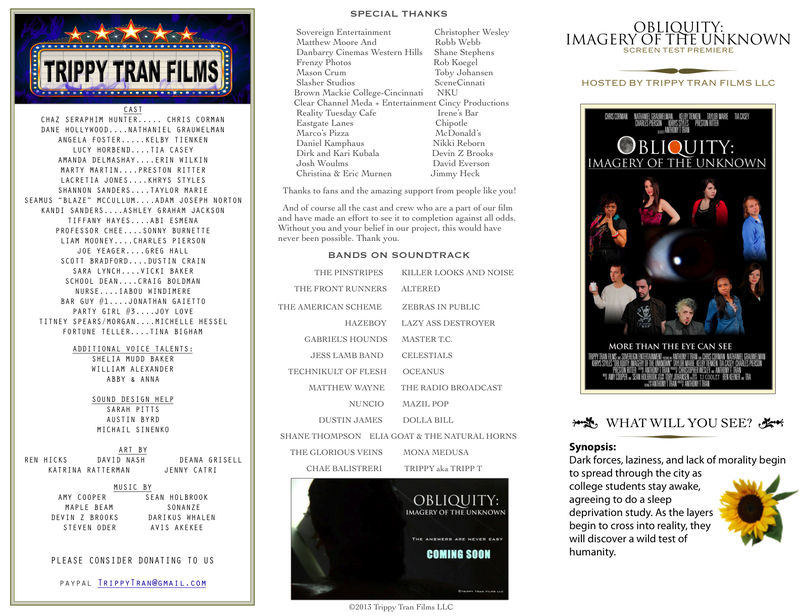 Being the title of a chapter he wrote when he was 12 years old, Obliquity: Imagery of the Unknown was a film he always wanted to do (regardless of having a microscopic budget) and throughout 4 years of production (Tran also co-produced the supernatural thriller Devil’s Point – which has recently hit film festival circuits) the Trippy Tran Films team was able to unite over 200 people from the Greater Cincinnati Area and beyond extending reach from New York to LA (Los Angeles being where he resides in now). People believed in the project with its awesomely unique premise. 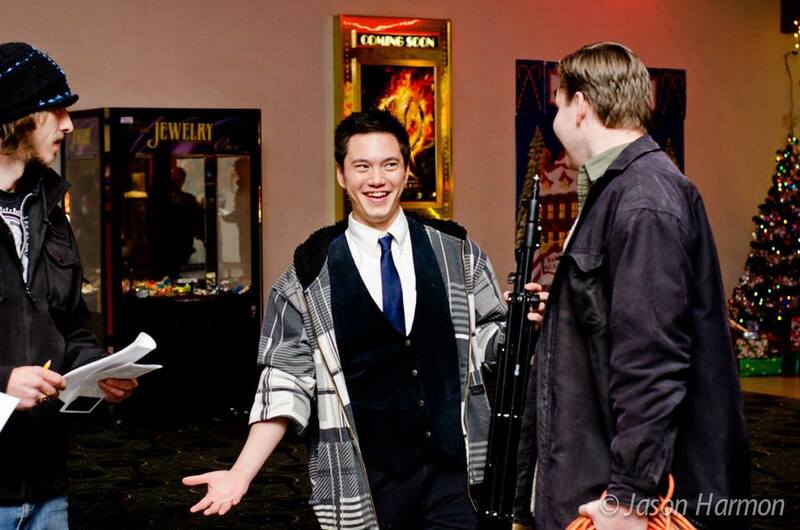 The project has been in limbo for various reasons mainly because of the lack of help in postproduction. 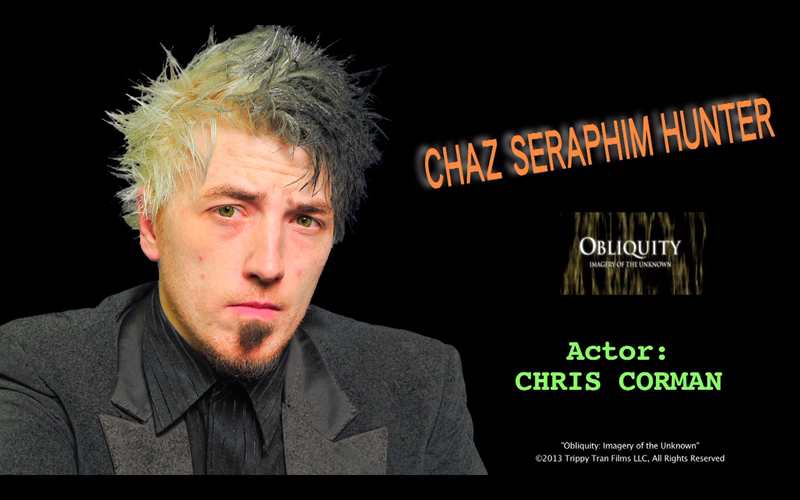 The film completed principle photography in February 2013 with promos and interviews wrapping May 2013. 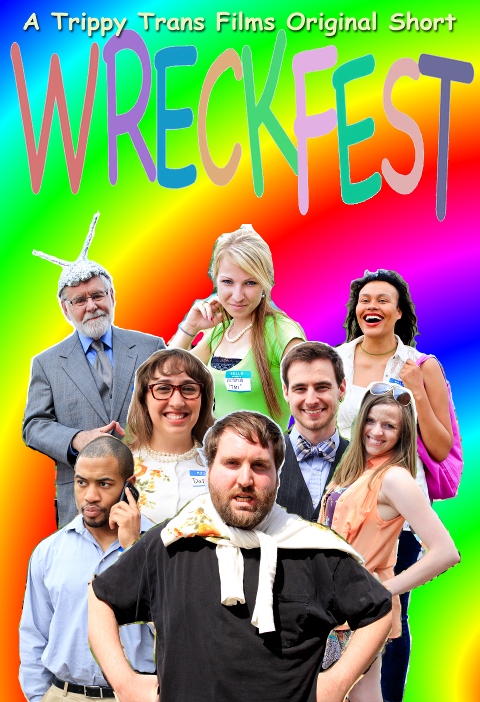 During the process, Tran also directed a 48 Hour Film Project short called “Wreckfest” in June 2013. 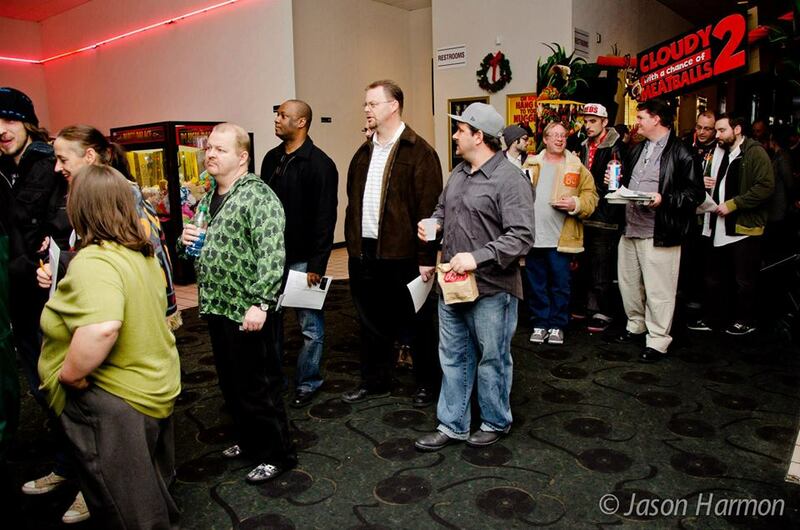 Finally after 4 and a half years, a test screening for Obliquity: Imagery of the Unknown was held December 27, 2013 at the Danbarry Dollar Saver Cinemas in Western Hills (near Queensgate – Cincinnati being named The Queen City – where a majority of the film was shot) with an audience of 75 people who were asked to fill evaluation sheets after viewing the motion picture. 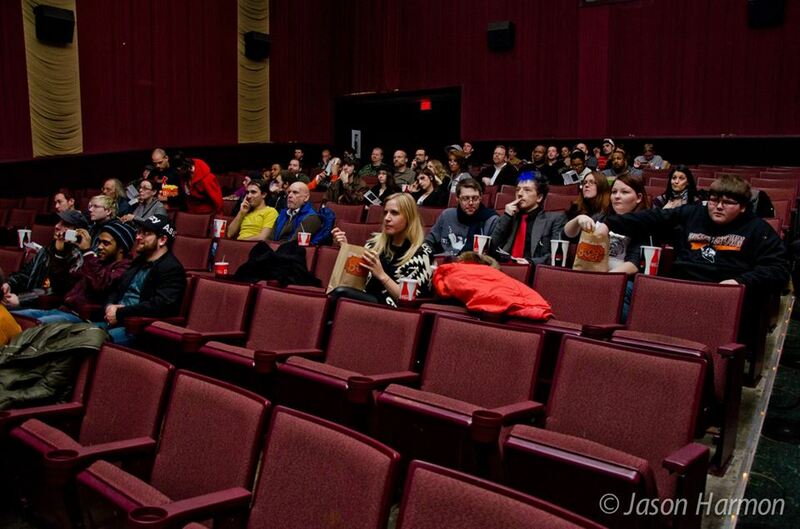 As people patiently waited to see the 2 1/2 hour indie debut feature from Anthony T Tran, Obliquity-related videos played including 2 music videos shot for the film: “Empty Minds” by Killer Looks And Noise and Tran’s own by his artist name Trippy T (or Tripp T) played “Shimmer Of Longing” on the big screen. 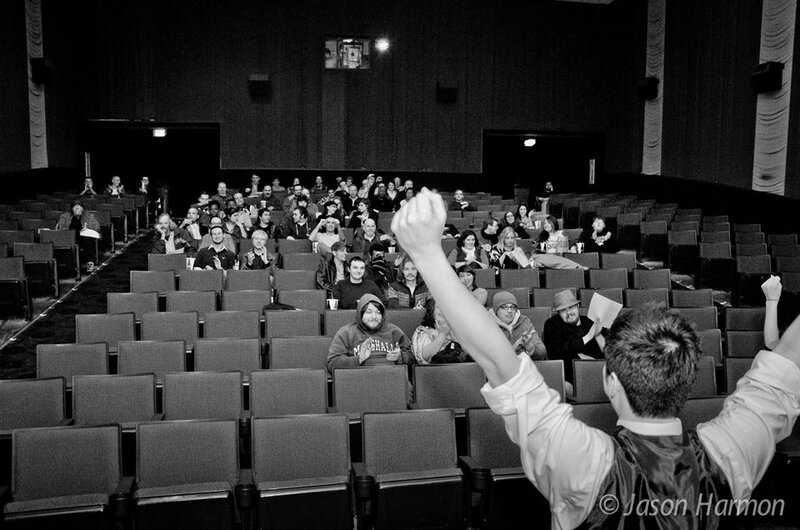 At the end of the test screening, which included a 10 minute intermission, the audience and crew voiced their opinions on the first cut of the film and a Q&A was held and filmed for the hopefully not-so-distant release of the Director’s Cut Special Edition Blu-Ray. Responses by that particular audience were mostly positive and many were inspired and intrigued by the piece, but others not so much, voicing that some things needed to be edited more. 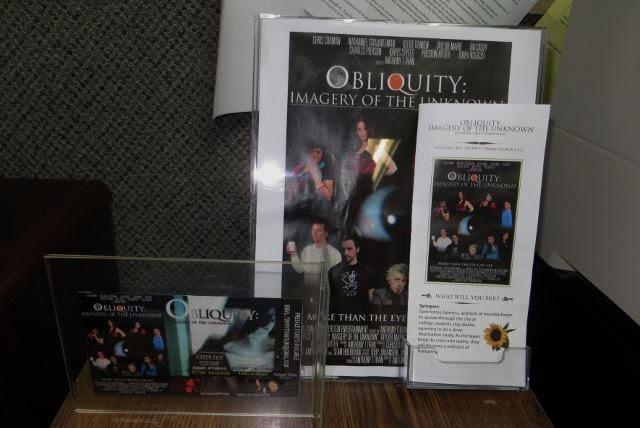 Tran made one-time brochures for the audience to get acquainted with the characters, descriptions including what Obliquity means plus, all the bands and artists who contributed music to the soundtrack. 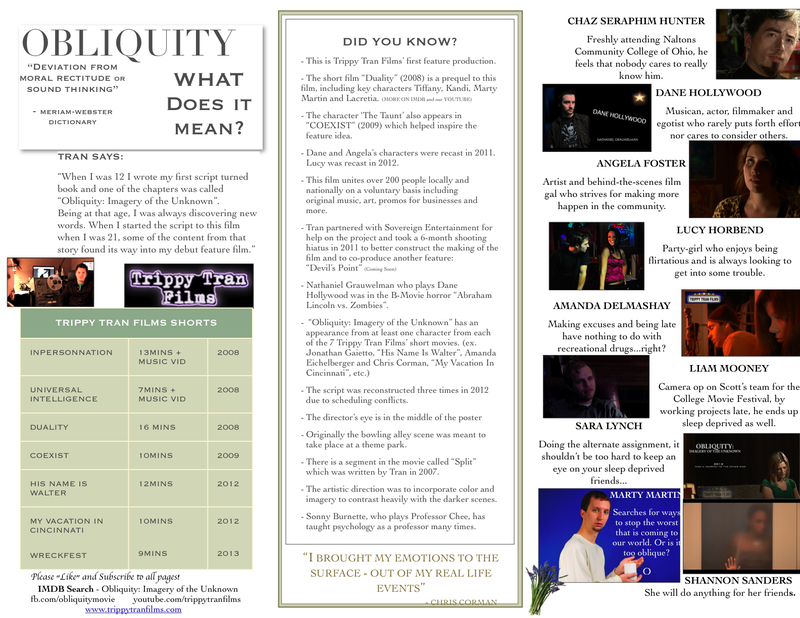 Click each image below to see the brochures. Tran made his move to California on St. Patrick’s Day- March 17, 2014. Since then, the project he announced this year is the story-game “Wreckfest – An Interactive Story” which is a choose-your-own-adventure game through the app Episode which will deliver bonuses and alternate endings for all characters from TTF’s short Wreckfest. 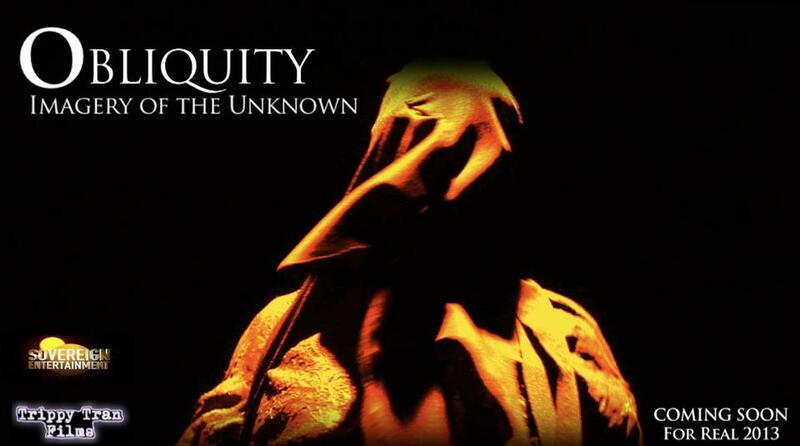 The link to the story releases on Halloween day October 31, 2014. Sources say there is a cartoon version trailer of “Obliquity: Imagery of the Unknown” also hidden in the “Wreckfest – An Interactive Story” game so fans can get ready for the release of this ambitious psychological thriller. So with all this work being released, when will the psych thriller be coming out to the public? Tran assures the team that it’s in the works and that if he can find more help, then it will be released sooner or, you can donate to TrippyTran@gmail.com or email us about helping the project in any way. Otherwise, we may be looking at another year or more before the film gets to see the glorious completion and release it deserves. 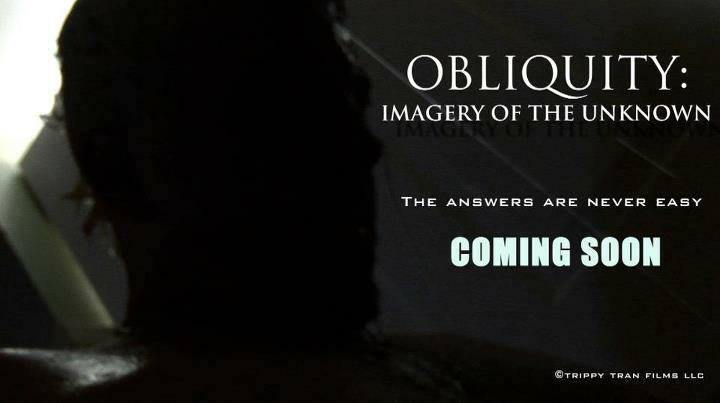 View previous posts below to see all 6 character promos from our psychological mystery, Obliquity: Imagery of the Unknown. Re-Releasing Publicly Soon. 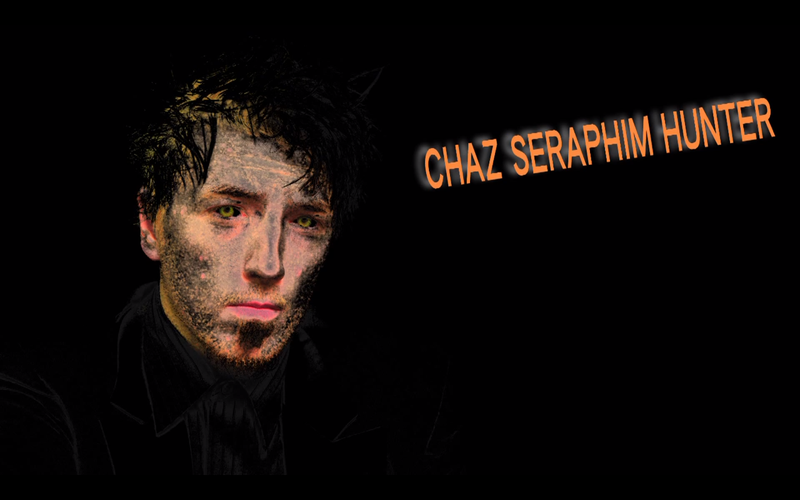 Stay tuned and subscribe for more news on this mind-bending project.